Oh, YAY! I've Received an Award! Thank the person who was so thoughtful for giving you this award by linking their blog to this post. Link your nominee to your post. Comment them to tell them about the award they've won. 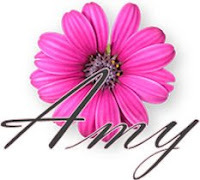 Thanks amy . Love your new button! I need to play catch up before my big holiday at the happiest place on Earth!